Everyone thinks he's crazy, which is why he's spent his entire life shuffled between mental institutions and juvie. All of that is about to change, however. For months Aden has been having visions of a beautiful girl—a girl who carries centuries-old secrets. A girl who will either save him or destroy him. Together they'll enter a dark world of intrigue and danger…but not everyone will come out alive. 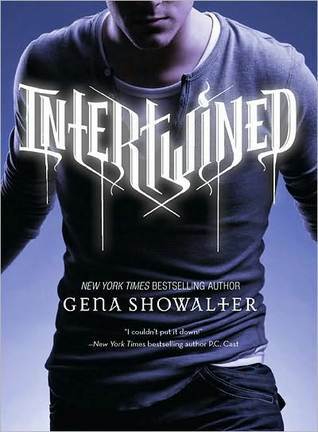 I love the character Aden in this book. He is awesome. He has been through so much but he is very strong in mind, body and soul. I love to read from a guy´s perspective. It is fun to read the way he thinks. But there are also some amazing side / supportive characters. One of them is Mary Ann, and you also get to read from h perspective as well which I also love. I like books where you can read from two sides rather than just one. It gives the book more depth I think. there are a lot of supernatural being in this book and the author have given her them her own twist in their abilities and characters. It is like every author has her or his own idea of how a supernatural being is suppose to be. And Showalter definitively has her own definition on some of them at least I have not read them like this before. This is an awesome read and I recommend it to everyone who likes YA, paranormal and romance, because yes of course there is some romance! Glad to hear it's good, I've been meaning to read this for a while now. There isn't a lot of books I've read through a guy's point of view.